Free for personal use, donations are welcome. 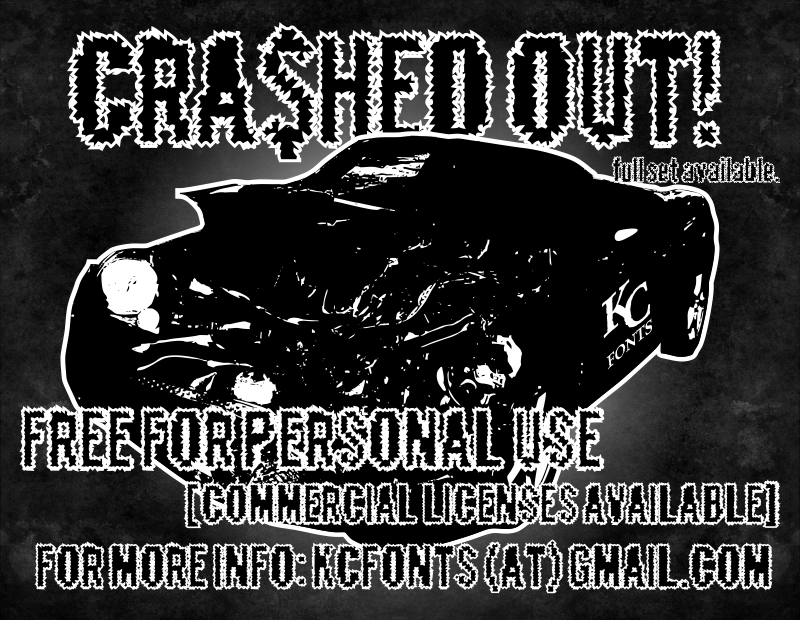 Full set is available for commercial use, please contact kcfonts@gmail.com for a license. Perfect for that party hard, rock look.